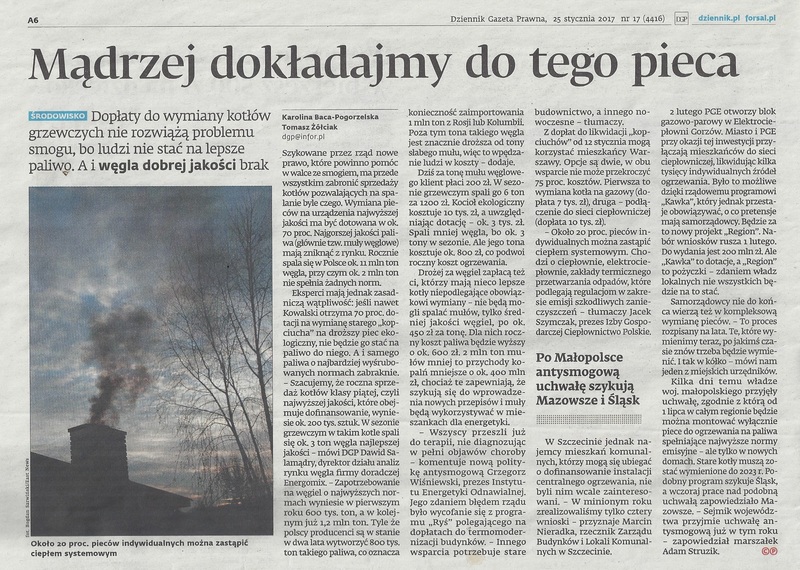 According to Gazeta Wyborcza, miners from Kompania Węglowa were given an offer they can’t refuse: either they will accept the fact of new working and payment conditions (still not specified, but surely less beneficial), or PGG will be established out of 7 mines instead of 11. Grzegorz Tobiszowski quickly denied and said that Ministry of Energy sticks to the original plan and there was no such blackmailing on the issue, and his version was later backed by Kompania Węglowa. 19th century Russian Foreign Minister Alexander Gorchakov used to say, that “he does not believe in news that were not denied”. So, who should we believe? Well, both sources are right, but Wyborcza has the wrong picture of the mechanism behind establishing Polska Grupa Górnicza. Indeed, there is a threat of moving the worst mines (Sośnica, Halemba-Wirek, Pokój and Rydułtowy-Anna) straight to Mines Restructure Company (SRK), but not just yet. The plan is to move all 11 mines to the new entity in May, and from then on give them time till the end of 2016 for restructure (each mine on its own). If by 2017 some of them will be still is such terrible condition, they will moved to SRK for liquidation. Agreement signed on 17th July 2015 between KW and the labor unions states, that all the working and payment conditions will not be changed for at least a year from the day of establishing NKW/PGG. Yesterday both sides of the table again did not reached any compromise. While unions were demanding fulfilling the agreement, Krzysztof Sędzikowski was trying to convince them, that it is not possible, since it was signed under different time and conditions (NKW was supposed to start working in September). What’s next? Two scenarios. Either Tobiszowski and Sędzikowski will be put under so much pressure (strikes, again) that they will withdraw from their positions, or the unions will buckle, getting to much pressure from the miners they represent. Rumors are, that many of the regular employees are tired of prolonged process of creating PGG and they are willing to waive some of their benefits just to keep the jobs. Silesian tug of war is entering to a new level.